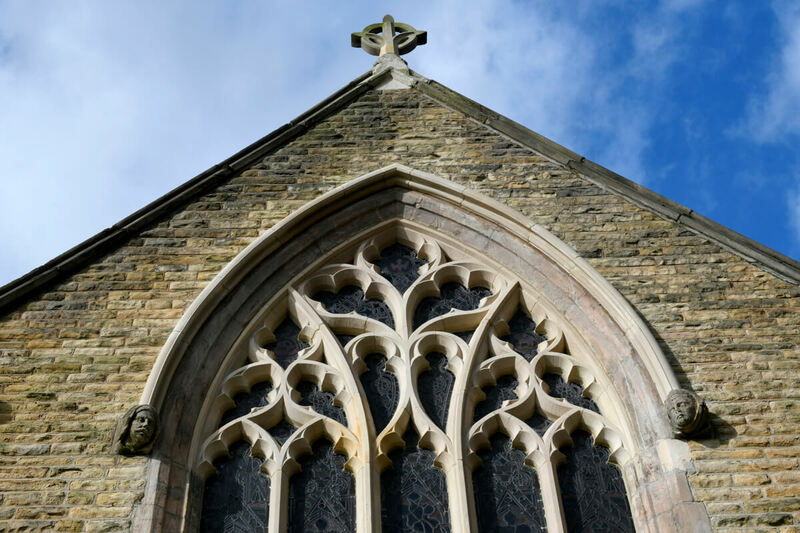 Lyons Stonework has repaired and restored the 19th Century, five-light, stained glass East window at St Anne's Church in Sale. ST ANnE’s church was opened in 1854 to accommodate an increase in local population following the arrival of the railway to the town. IT IS built in the Victorian Gothic style. The need for repairs had been identified in the Church’s most recent quinquennial report. THIS showed that the stonework tracery of the window had deteriorated AND was at risk of total failure. the stone had been bedded in the wrong plane and, during previous repair attempts, covered in cementitious mortar and sealant. This had exacerbated the problem because it trapped in moisture, causing the stone to decay more quickly. 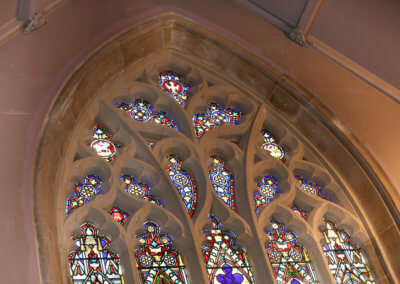 Lyons Stonework was awarded the JCT Minor Works Contract from a short list chosen by the Church’s architect, Equilibrium. 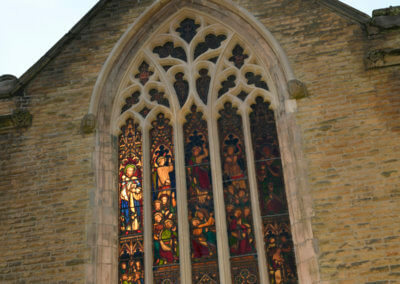 As main contractor Lyons enlisted the help of specialist Pendle Stained Glass. This was now the proven team which had completed a similar scheme at St James’ Church in Brindle with Equilibrium. The first move was for Pendle Stained Glass to strip out all stained glass lights and remove them to the workshop for restoration and cleaning, reforming any deviation in plane, and renewing the perimeter lead. Pendle would also replace the iron saddlebars designed to keep the panes from bowing, since the iron had corroded and therefore expanded causing fractures to the surrounding stone. As Lyons began removing the damaged tracery, more stonework issues were uncovered. The hood mould above the window had deteriorated, and the cross finial was cracked down the centre. The masons replaced the hood mould, and performed an indent repair on the cross, before refixing it. That done, the team began taking out the tracery and mullions, but the work quickly showed up structural failings in the voussoirs of the window arch. Instead of an arch reaching through from the external façade to the internal wall, there were two separate arches: one in front and one behind. Since the two were not fixed to each other, the structure was unstable and removing the tracery could have caused a collapse. Leaving the tracery and mullions in situ, the masons fixed a series of stainless steel anchors to the voussoirs, from front to back, tying the two parallel arches together as well as back into the inner and outer leaf walling. Finally the team was able to remove the bar tracery and mullions as planned. All stone elements were templated and new pieces created in Lyons’ workshop, before being fixed in situ to replace the old tracery and mullions. Pendle Stained Glass refixed the restored glass to complete the project. And, although the contract had run over time because of additional work and bad weather, the church was intact in time for a wedding already booked for February, much to everyone’s relief. With St Anne’s the second church to benefit from the Equilibrium, Pendle and Lyons line-up, architect Vic Fletcher believes that the team had exactly the blend of skills, expertise and attitude for the project. 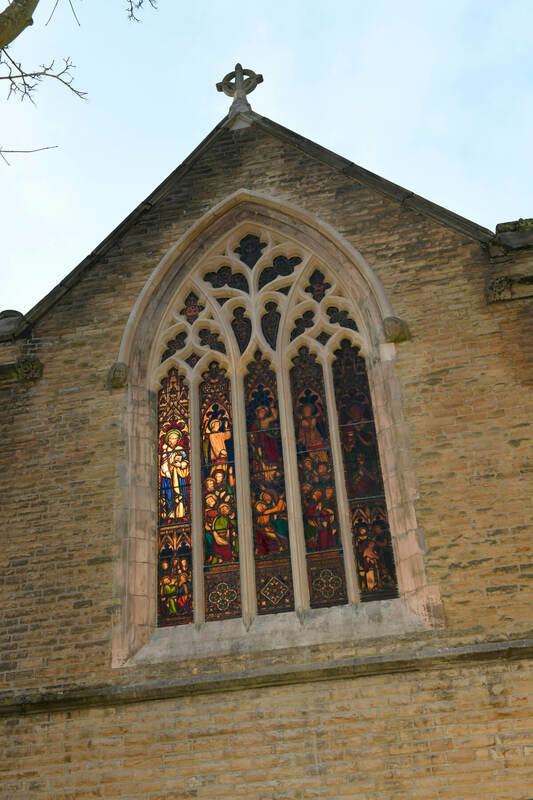 “The proof is in the finish, and the fact that St Anne’s PCC members were delighted with the restored window and the way the work was handled. Templating of existing stonework to window. 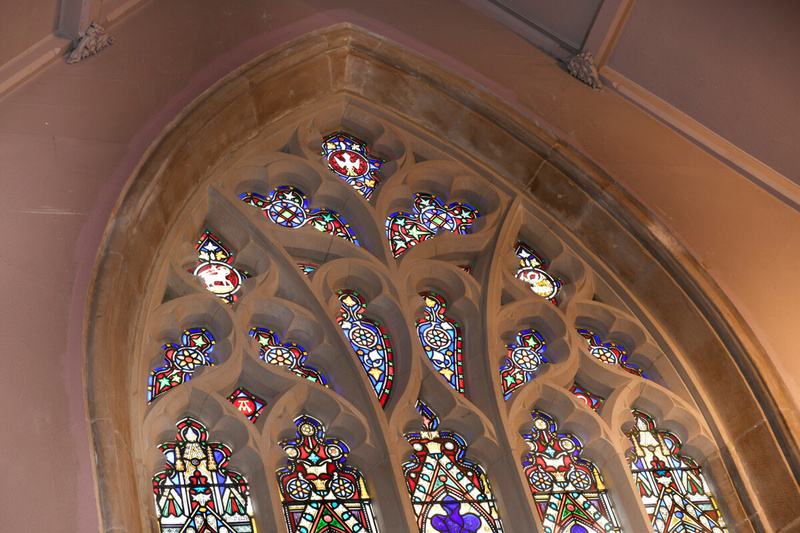 Removal, restoration and refixing of stained glass (by specialist sub-contractor Pendle Stained Glass). Removal of mullions and tracery. Manufacture and fixing of replacement stone mullions and tracery. Manufacture and fixing of replacement hood mould. Fixing of stainless steel anchors to lancet arch.